This is a simple ride, designed for groups getting out for their first ride of the year, or in some cases, the first ride of their adult life. The beginner's ride is as easy as they come, but most people seem to want to try the intermediate route, which contains one significant climb and then descends into Oakland/Berkeley. 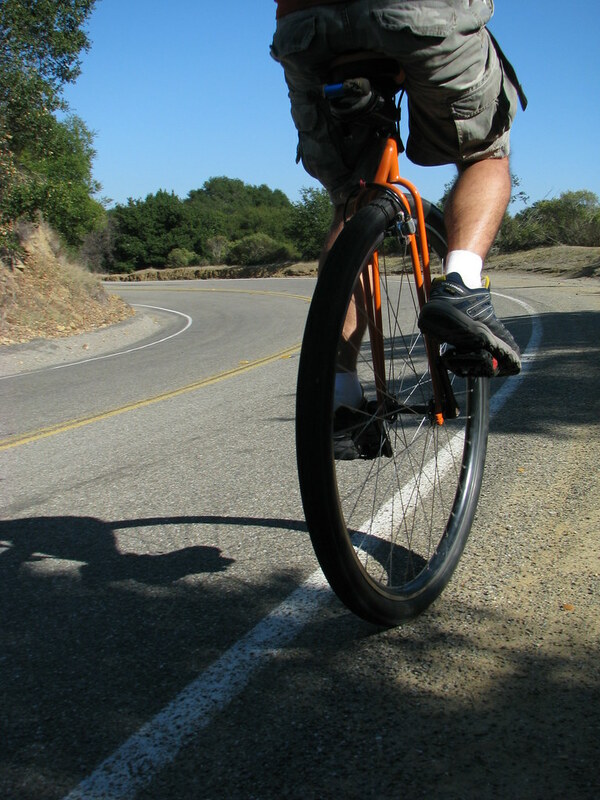 The intermediate and advanced rides feature Pinehurst Road, one of the most popular cycling roads in the area. 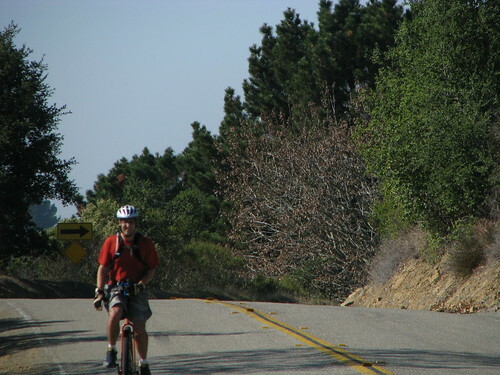 The advanced ride also travels on Redwood Road, a pleasant route down to Castro Valley and Lake Chabot. The traffic ranges from moderately heavy in Moraga, to light on Redwood Road. 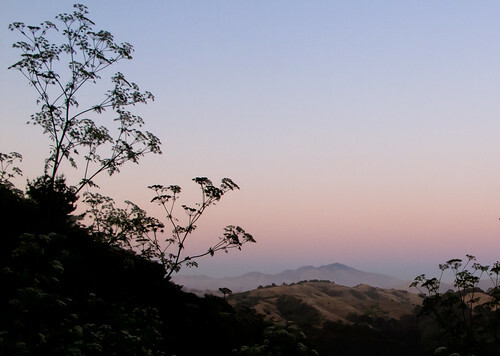 The civilization level is low after you leave Moraga; bring water and food. The ride starts at Orinda BART, and ends variously at Lafayette BART, Rockridge BART, or San Leandro BART. To get onto Moraga Way you have to loop around the station a bit; follow the signs. The road is commercial for a couple blocks, then is wooded and residential, with a decent shoulder and a basically well-behaved stream of traffic. The only thing to watch out for is cars coming out of the blind driveways. 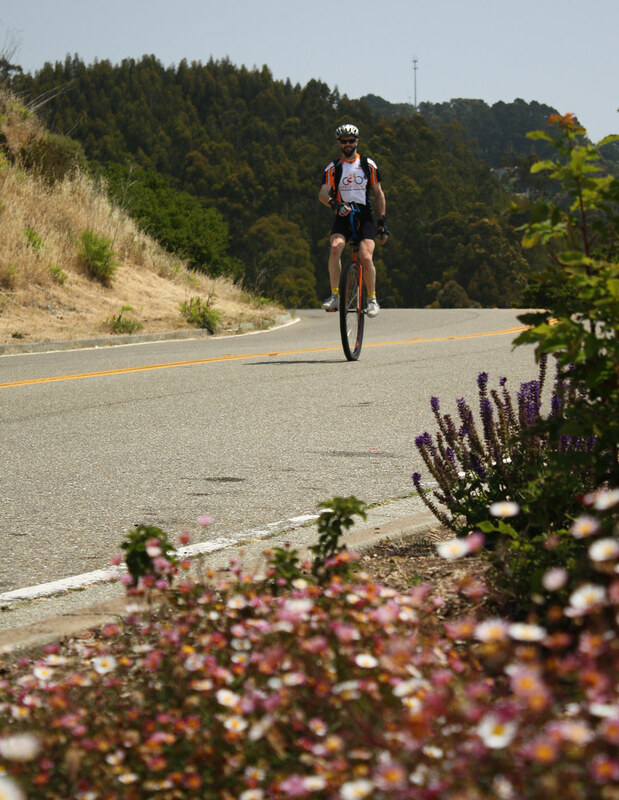 Moraga Way slopes slightly uphill for most of its length; it's not steep but it can be tiring. 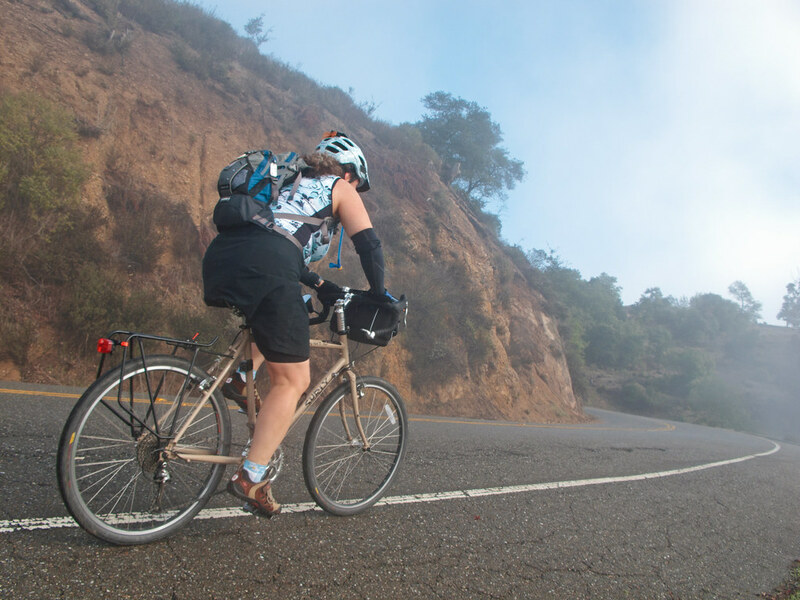 Don't push too hard, especially if you plan to do one of the intermediate or advanced rides. St. Mary's Road is paralleled by a bike path for most of its length; you can use either route, although if you take the bike path be sure to get off it at School Street before it curves around to the right. Saint Mary's Road is a mostly rural road that goes past Saint Mary's College and has a reasonably fun descent into Lafayette. The road tends to have some traffic, but personally I prefer it to the bike path, which has a number of sub-optimal road intersections. The Ride With GPS route details the bike path route because it's more complicated, but St. Mary's Road is fine. 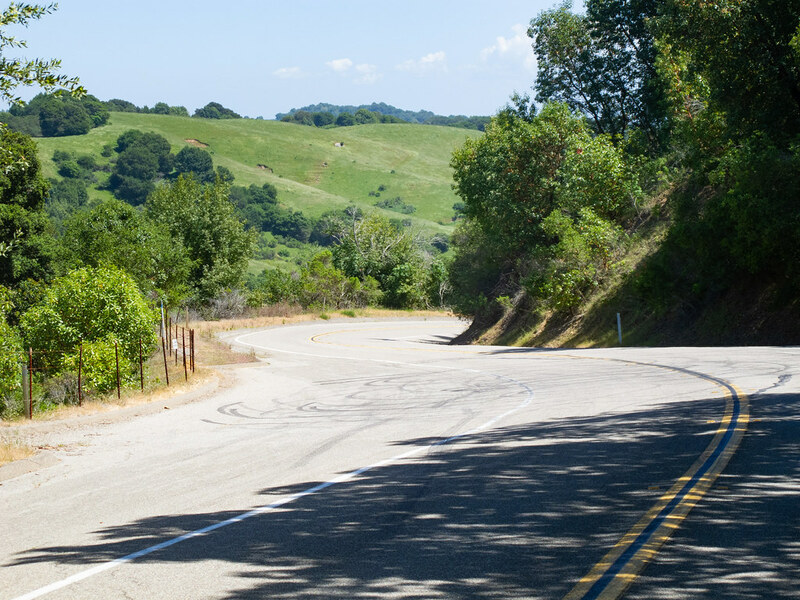 Once you leave Moraga, the road becomes very rural and wooded, with little auto traffic (and lots of bike traffic). The road surface is spotty, although on the climb it doesn't matter that much. The Canyon post office is a good place for a stop. The road starts climbing in earnest at a left hairpin. The right hairpin about halfway up is the hardest part, and there are a couple of other steep pitches above that. The road is subject to landslides and as of this writing narrows to one lane at at least one point. Skyline is a residential road populated by ex-Berkeley liberals who have sold out and made a million bucks. It's wide and there's little traffic. If there are no clouds there will likely be some stunning views of the bay--if there are clouds it's likely you will be in them. Tunnel is a beautiful twisty descent with great views of the bay. At the T intersection, turn left to go over Highway 24 and then turn right on Old Tunnel. Where Old Tunnel meets Broadway, go down the steep hill and then turn right on any of the residential streets to get to College near Rockridge BART. Redwood Road is wooded, rural, and beautiful. There's practically no traffic. It descends softly for about 3 km, climbs for another couple (there's one fairly steep section but it's not too bad). then has a fun moderate-speed descent with only one turn that requires braking (across the bridge at the bottom). Be careful at the pavement patches, the transitions are a bit bumpy. At the end of the road there's a short climb and descent before the right turn on Seven Hills Road. Seven Hills Road is sort of a novelty; it really does have 7 hills, although only the first and last are significant. There's not much traffic. Lake Chabot is a wide road with moderate traffic; it starts out semi-residential, but soon moves into Anthony Chabot Regional Park, where it overlooks Lake Chabot. There's a snack bar if you need any food. There's a multi-use path along the lake shore; it usually has lots of walkers, joggers, and dogs, so be careful. (If you prefer, you can just stay on Lake Chabot Road but it's not nearly as pretty). Stay on the path as it parallels the lake; cross over the dam, bear to the left and down a steep hill with poor pavement. Turn right to exit the park, then bear left when you're through the gate; there's a short climb, then turn right on Estudillo Road, a residential road with bike lanes which takes you to BART.